With the 2014 World Junior Championships a mere five days away, ten nations have selected their best and brightest young stars, budding athletes who they believe represent their country’s best chance to claim the title in Malmo, Sweden. 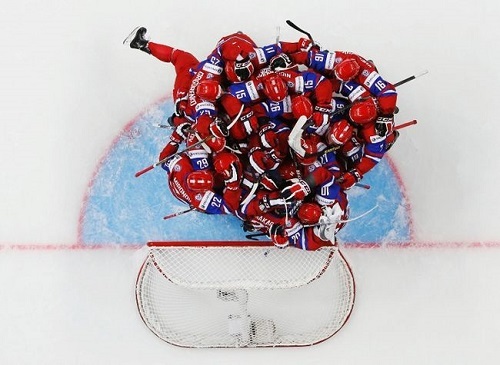 Per usual, perennial contender Russia has culled a roster to be reckoned with, placing themselves in good position to take a run at reigning champs, Team USA. Leading the goaltending corps, Tampa Bay Lightning first-rounder Andrei Vasilevski looks to continue his run of strong play on the world’s biggest junior hockey stage. Coupling a .952 save percentage and a 1.91 GAA through nine total U20 championship games, team Russia will undoubtedly look to the 6’3″ netminder to backstop their gold medal hopes to fruition. These hopes don’t come unwarranted; playing 19 games for a fourth-placed Salavat Yulaev Ufa (I have no idea what that means) team, the 19-year old native of Tyumen has managed an impressive .923 save percentage to go along with a 2.31 GAA. As for defense, Nikita Zadorov appears to be the marquee name shoring up the Russian blue-line. 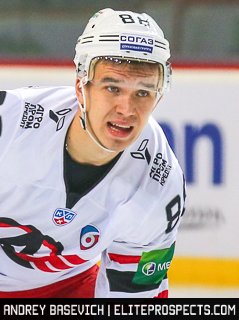 However, I’d look for 19-year old Nikita Tryamkin of the KHL’s Avtomobilist Yekaterinburg to make an impact; comparing his stats to those of his professional peers, the 6’4″, 214 pound rearguard has seen greater offensive success, posting one goal and seven points through 37 games played. On the surface, these figures don’t impress-posting only one more point in three more KHL games than returning D-man Andrei Mironov doesn’t exactly inspire fear in the opponent’s defensive zone. Literally, the only picture I could find of this kid. However, Tryamkin represents a responsible and steady presence in patrolling his own blue-line; possessing a plus-three rating on a seventh-placed Avtomobilist squad, the numbers seem to indicate greater defensive proficiency than teammate Mironov, the latter of which has managed a minus-five rating while playing on a league-leading Dynamo Moscow club. Furthermore, Tryamkin posted exceptional offensive numbers last season while splitting time between Avtomobilist and their MHL (Russia’s minor league) affiliate, posting a respectable 18 points through 28 MHL games. Add in 58 PIM’s (34 in this year’s campaign) for good measure, and the Russians may have found a top-pairing defenseman. I’M GOING TO DISNEY LAND! In terms of offense ability, look no further than 18-year old left winger Ivan Barbashev; the top-ranked Russian prospect heading into this year’s NHL Entry draft, the 6’0″ forward has been nothing short of sensational in his time with the QMJHL’s Moncton Wildcats. While he may lack the professional experience of contemporaries such as New York Rangers 2013 third-round pick Pavel Buchnevich, his play at the highest level of North American amateur hockey has turned heads. On top of producing at a point-per-game clip through his first two seasons in Canada (96 points in 95 games ain’t nuttin’ ta f*** wit’), he has consistently dominated each world junior tournament he has taken part in. Six points through five U17 games. Nine points through seven U18 games. The lad has yet to show the typical signs of transitionary years advancing through the junior ranks-perhaps a testament to outstanding work ethic- and I’m wont to say that he’ll start now (please please please sweet baby Jesus let the Panthers draft the kid). And apparently, he likes to hit a bit. Who doesn’t like a dude who likes to hit? With just under half of the preliminary roster already getting their feet wet in either the NHL or Russia’s KHL, team General Manager Alexei Kochetkov appears to be comfortable with selecting a team based on professional pedigree rather than World Junior experience. In returning only five members of last year’s bronze medal-winning squad, I believe, the Russian’s are no worse for wear. Look for the Red Machine, as always, to make a deep run, perhaps even to the finals. By Odin’s beard, this tournament is going to be SO MUCH FUN TO WATCH.